Nestled in the surrounding hills and on the edge of the bay, Avila Beach is a beach town perfect for a coastal escape. 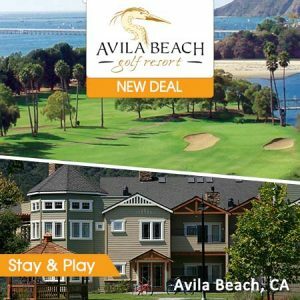 Enjoy a one night stay relaxing setting while you enjoy two days of golf at Avila Beach Golf Resort. 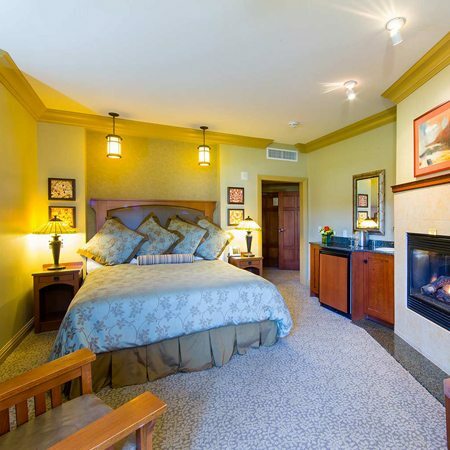 Avila Village Inn is an upscale boutique hotel nestled in the charming Avila Valley just off Highway 101, and only minutes from beautiful beaches, incredible golf, fine dining establishments, and more. During your stay, you’ll enjoy easy access to explore all the beautiful natural surroundings, including the Bob Jones City-to-Sea Trail right next to the hotel. They will even provide you with complimentary bikes to ride the trail. 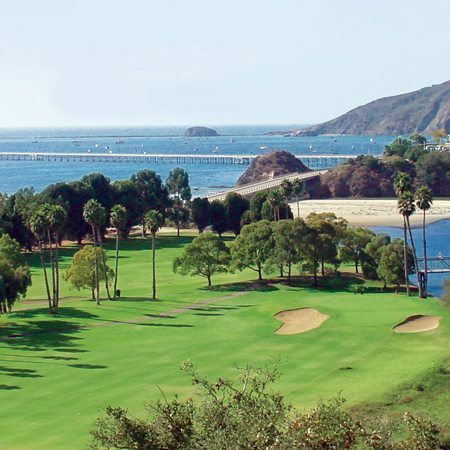 Avila Beach Golf Resort is a very well-known Central Coast Golf Course. 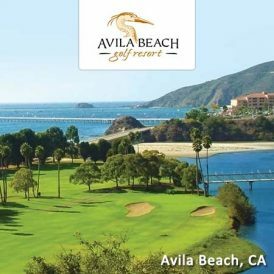 Designed by Olin Dutra and Desmond Muirhead and opened for play in 1969, Avila Beach Golf Resort is located 3 miles off Highway 101, south of San Luis Obispo and northwest of Pismo Beach. 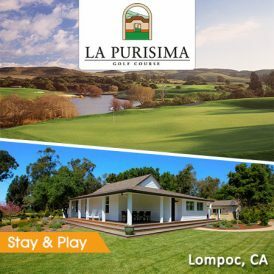 Nestled in the surrounding hills and on the edge of the bay, the resort includes a par 71, 6500-yard championship course, extensive and beautifully crafted event facilities and a neighborhood bar that also serves tasty sandwiches and small bites. After purchasing, contact the Golf Moose reservation center by phone at (877) 825-6676 to book your trip. 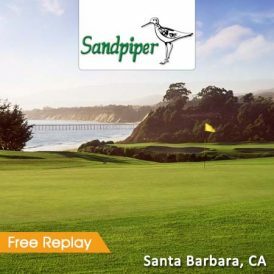 Please be ready to provide your preferred trip dates and tee times. Do not call the hotel or golf course as they will not be able to book your reservation. Tee Times and hotel rooms are subject to current availability at the time of booking. 6655 Bay Laurel Drive – Map It! Paid value does not expire. Please contact Golf Moose if not used by the expiration.